The waggles flying jacket dog coat, only needs goggles and a scarf and you have a real aviator dog. This flying jacket is also very practical, made from 100% showerproof polyester and has a cream fleece inner to keep your dog warm. 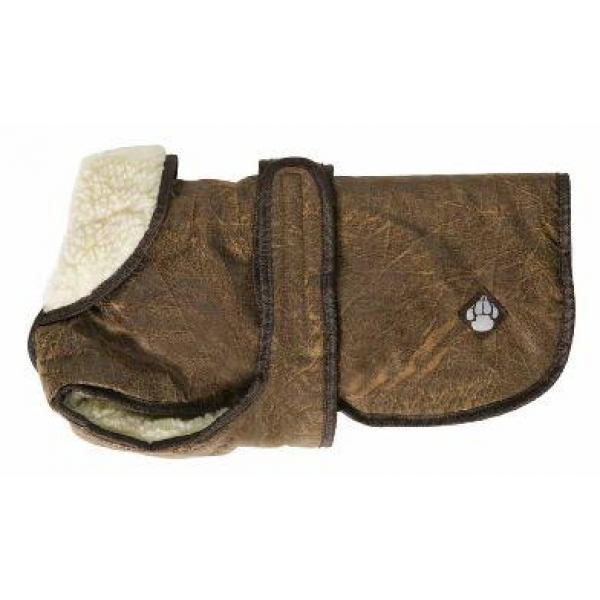 The design is a brown antique leather look fabric with a cream fleece turn back collar and base trim. 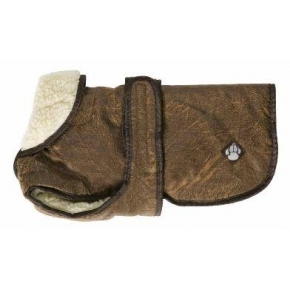 Has an adjustable strap with velcro fastening for easy use. For the best fitting, measure your dog from just below the collar line to the beginning of the tail. Danish Design 2 in 1 Four Seasons Performance Dog Coat Blue 35cm 14"